The previous article talked about how to make money off Amazon being a seller on the platform and is Part One of this two-part series. You can access it by CLIKING HERE, if you have not already read it. This is Part Two and will discuss about how to make money on Amazon without selling, which will be through the Amazon affiliate program. If you don’t know what affiliate marketing is about or how it works, I would highly recommend that you READ ABOUT WHAT IT IS HERE before you proceed with moving on with this article. Without understanding how it works, you will not be able to fully grasp the concepts I will discuss within the article. Although I support affiliate marketing more than any other forms of making money online and I believe that tons of money can be made by being an Amazon affiliate, I in no way GUARANTEE that you will make thousands overnight. Affiliate marketing is like any other legit business, where it takes time to grow and blossom. You CAN make thousands but that will have a direct correlation with how well you apply what you learn, how much time you dedicate to the business and how much patience you have. But I can say something; nobody fails in this business unless he QUITS. Although you can sign up as an affiliate with Amazon at any time, I would highly recommend that you hold off from creating your affiliate account just yet. I will be explaining the reasons why further down below, in the article. Before we begin with this check-list, let me say that you should already know at this point which products / niche / category you would like to focus on to build your affiliate business online. Again, this is all covered in Part One. If you do have an idea, then read on. As I mentioned before, this is not a get-rich-quick scheme. It will require a lot of work and patience on your part. But I promise, it will all pay off. You will find that this business is very cumulative in nature; every little improvement or work done will pay off dividends in the future. You will need to be as open-minded as you can possibly be towards learning. Because there is a learning curve associated with this business, especially if you’ve never tried to make money online before. You will need to soak up information like a sponge soaks up water. The first thing that you would want to do, is to build up your foundation. The business, just like a house, needs a solid foundation that will provide stability. The first thing that you will need to do, is build a website. Don’t get scared! 10 – 15 years ago, it used to take about 30 days to make your website live on the internet and you had to know a lot of different codes and programming languages. Now, you only need to click a few buttons and your website could be ready in about 30 seconds! So that’s not the hard part. SEO is short for Search Engine Optimization and what this means is, to make your website recognized and improved in the eyes of Google, Bing and Yahoo. You may ask, why is SEO important? That’s because you will need to rely heavily on the traffic that the search engines can give you because it is a free source of traffic. Being SEO-friendly means that you might never even need to spend a dime on Ads to promote your business. Google, Bing and Yahoo will do it for you! For FREE! The About Me page is not mandatory, but is still good to have because this will build more trust with your visitors. They want to know that there is an individual on the other end of the website who genuinely cares about his/her visitors. What you can write about here is what motivated you to start the website and how you can help your visitors. Here starts the actual work! This is what will make you or break you, that is to say, business-wise. This will be the driving force behind your success. Remember how earlier I told you that building the website is not the hard part? Well, here’s the hard part. Writing itself is not it, but the amount that you need to write, the flow of your articles, your patience while you write and keep writing for months on end, every single day, where your patience is tried; that’s the hard part. That’s why you need to have set your mind to working hard and not work for the money, but because the niche / category that you have decided to write about, is your passion! You need to love it for it to show and for it to drive you to write and be more patient about it. If you are new to writing reviews, you can READ ABOUT HOW TO WRITE A REVIEW HERE. Can I open an Amazon affiliate account now, please? I know your main goal is to make money with this affiliate marketing business, by being an Amazon affiliate. But when is the right time to actually open your affiliate account with them? There is no wrong time to open one but there is the BEST time to open one. In my experience, it takes about 6 months for your website to start getting real credibility and authority within your niche / category. That’s when you will see a small, consistent amount of traffic / visitors to your website. That’s when I would recommend that you open your affiliate account with Amazon. The reason why it is best to wait that long, is because Amazon will close your account if there has been no sale within a 6-month period. At 6 months, you may start making sales from a review or two but also know that depending on how much you have been working on your website, you might still not be getting any. Therefore, opening your affiliate account at around 6 months after you start your website is about the ideal time, because now that you know there has been some traffic, you will be able to expect your first commission within the next few weeks and not risk your affiliate account being closed. Another reason why I say it is best to wait to open your affiliate account with them, is because they will require for you to provide them with your website URL. They will check your website to see if it is well-established. Having a website that has been online longer and having more content when you apply, will increase your chances of getting approved. Here, I am going to discuss the pros of being an affiliate, versus being a seller on Amazon. It will give you some perspective as to why it may be a better option overall. 10) No need to worry about competition, because even if customer buys a completely different product from a different seller (compared to what you promoted in your review), you still earn money! 11) Make money from home and from any where else! Seeing as you would have your own website, you don’t only have to sign up with Amazon. You can sign up as an affiliate of hundreds of other programs available online. You must have heard of the saying ” Don’t put all your eggs in one basket.” Well, the same thing would apply here. Having a website would allow you to be an affiliate of different programs for different products. This is specially good because if anything were to happen to Amazon in the future, at least you will not lose ALL your source of revenue. I know it is hard to picture Amazon closing down but it takes one lawsuit to trigger bankruptcy and that can happen any time. What about Sears, Zellers and Future Shop in Canada? Would we have guessed that these giants would be closing their doors? Nobody would have believed it. If it can happen to them, then believe that it can happen to Amazon as well. So my advice is to sign up with several different affiliate programs and spread your articles, reviews and affiliate links evenly among these programs and you should do great! Affiliate marketing is my favorite way of making money online and I hope that after having read this article, that it has shown you all the benefits there is to making money this way. I know it may be scary to start a website and maybe you are not an excellent writer. It only takes a drive, passion and patience to go through the difficult steps and decent writing skills. Not to mention that the more you’ll write, the better you will get at it. Selling on Amazon directly is becoming saturated, with prices hitting rock bottom and profits are not made at all. By being an affiliate of this great company, you don’t have to worry about strategizing your prices and sales and about competitors. All you have to do is write a product review, be it positive or negative, and you can make money! Not to mention that you can monetize your website by being an affiliate of multiple different companies at a time, that will save you if Amazon closes its doors. … I wanted to share with you, the program that showed me how to go about the proper way to set up an affiliate marketing website. It is simply, THE best platform in existance today, that will guide you step-by-step. I was a beginner at some point and most people on that platform have been beginners too. So we can all understand how it feels like. This platform is called Wealthy Affiliate and I have not seen another platform like it; free to open an account, with the 24/7 support from all the members, website support, all the tools you need without any upsells. If you do decide to create a FREE account, know that I will not be making any money. You can even remain a free member for as long as you like. So my goal is to help as many people as possible find Wealthy Affiliate to experience the difference when you have such a community as genuine as Wealthy Affiliate. I have shared a lot, so that’s enough from me! I would love to hear from you as well. How has your experience been either as a seller or an affiliate of Amazon? How long did you need to work on your website to see revenue? What platform have you used to build your website? What do you like about being a seller? What do you like about being a affiliate? Your dislikes? Please share them all in the comment section below. If you have any questions or need any help, also please reach out in the comments section below and I will get back to you ASAP. Whichever way you choose, I sincerely wish for your happiness and success. Absolutely love the knowledge and recommendations presented on this page. Affiliate marketing is a real-world option for generating income, but you absolutely should, as the writing suggests, have your ducks in a row first, and have a passion for what you are marketing second. Less selling….more solutions! This makes all the difference in the world. Hey Jason. Really glad that you have enjoyed reading this post. 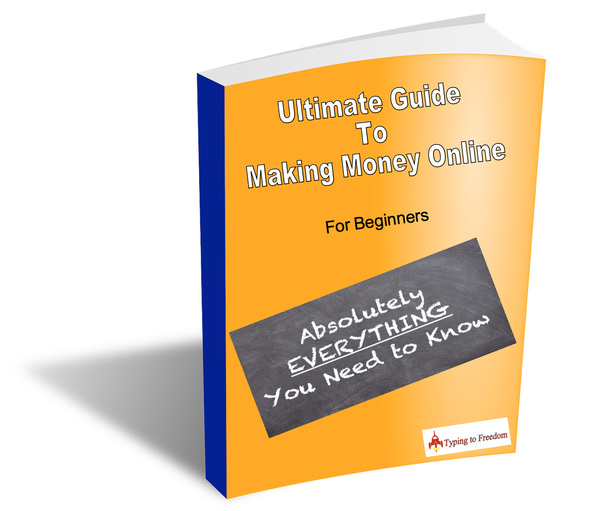 Affiliate marketing is one of the best ways to make a solid income from the internet, but in order to make it work, like you said, you have to be prepared. Having a passion for the interest / niche that you choose plays a big role and makes a huge difference to how long you will stick with it. If you put helping others as your first and foremost goal, then the money will follow. I know many people are put off by the low payouts from the Amazon Associate program, but it’s still a great way to monetize my website. It’s also a better alternative for those just getting started that want to make money online, but have no products of their own. I agree with you that waiting before jumping the gun on the Amazon affiliate program is a wise choice. Build your site up, and create some content before monetizing I say! Hey Diana. Thanks for dropping by and for giving us your experiences. Yes, people are put off by the low pay-outs from Amazon, but I do definitely recommend that people sign up for it, because of its brand; its one that people know and trust! But, I would also recommend to sign up with other affiliate programs alongside Amazon’s because I always suggest NOT putting all your eggs in one basket. It would be unwise to rely 100% on Amazon. This is what’s great about affiliate marketing; you don’t have to ever design, produce and sell your own products; make money off other successful products!